Beginning May 25, 2016, DecoPlanner is included in Tech 1, Tech 60, Tech 2, Cave 1, and Cave 2 course registrations. When your purchase is complete your file will appear in your "My account" section (accessed from your personal menu on the right). In your account, click on the "Files" tab to reach your download link. 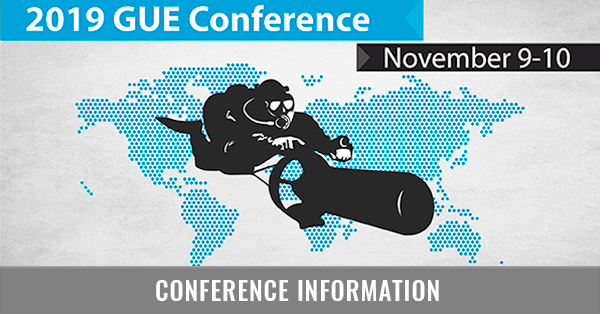 GUE's DecoPlanner 3 once again sets the bar for convenient and efficient planning tools. GUE DecoPlanner 3 incorporates VPM bubble modeling in addition to our historically popular gradient factor Bühlmann modeling. Both VPM and Bühlmann are easily accessible from the same page by merely toggling between to excel style sheets. Divers can, therefore, run multiple comparisons, changing gradient factors and bubble factors on the fly. DecoPlanner 3 also comes bundled with GUE's DiveLog software. This extensive dive log software provides detailed dive log features as well as the ease of uploading one's dives to GUE HQ for certification card renewal. The very popular Gas Management Program is also included with DecoPlanner 3. DecoPlanner is available through GUE for Windows 95/98/NT 4.0/2000/ME/XP/Vista/7/8/10. DecoPlanner 3 comes bundled with both DiveLog and GMP and is now available through GUE for $149 US. Owners of the previous versions of DecoPlanner can purchase the new version for $129. Click here to add the discounted version to your shopping cart. Thousands of copies of DecoPlanner are used by divers around the world in both recreational and aggressive technical diving situations, including world record cave diving explorations in the Woodville Karst Plain and deep-sea documentation of the Britannic shipwreck. DecoPlanner has been used to calculate a series of progressively more aggressive long and deep dives. Developed by Simon Tranmer, with assistance by Erik Baker and GUE representatives from around the world, DecoPlanner is available through GUE for Windows 95/98/NT 4.0/2000/ME/XP/Vista. My primary goals in working with Erik, Simon, Graeme, Andy, Sue et al in the development of the program were twofold. First I wanted to help create a very simple program that allowed one to make changes at any point in the dive easily and quickly. The simple Excel style spreadsheet format provides divers with an unprecedented level of control and convenience. 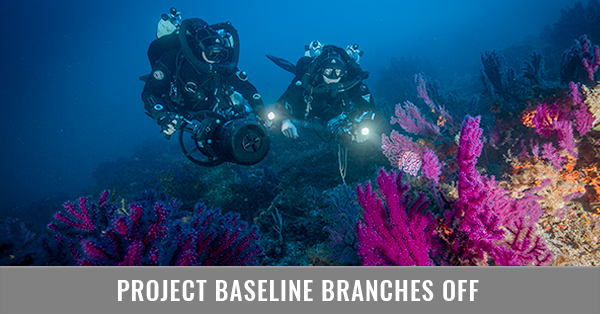 Divers can immediately change any part of their dive plan and instantly recalculate their profile. Calculate loss of deco gases, multiple mixtures, multilevel dive profiles, repetitive dives and a host of various parameters with the touch of a button. 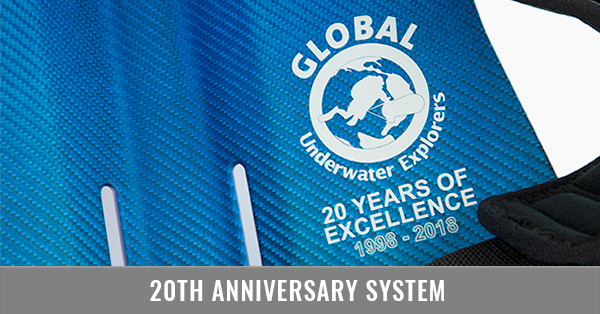 Experience a new level of control over safety factors with GUE's revolutionary gradient factor method, which allows safety factors to be customized across multiple diving profiles. For example, gradient factors establish a percentage of maximum compartment pressure, which can be individually established based on individual decompression success. GUE's DecoPlanner finally allows divers a legitimate and reasonable method to calculate deep stops. DecoPlanner empowers divers with a calculated max decompression stop, which indicates the deepest effective stop. DecoPlanner eliminates the ad hoc, mysterious, and subjective "guidelines" for deep stops. Enjoy a proven and sensible deep stop technology proven by years of aggressive diving and developed by some of earliest proponents of deep stop benefits. DecoPlanner displays a range of valuable information allowing divers to monitor compartment pressure of all inert gasses, m-values, %m-value, gradient factor, %ambient pressure and more. Enjoy the ease of planning multiple times and depths all at one time. For example, calculate a 200-250 dive from 10-30 minutes in a matter of seconds. Enjoy a convenient and scuba calculator and free associated gas-mixing program. Divers using this program should be aware that decompression is not an exact science and what this program does is attempt to draw a line through this scientific uncertainty whilst providing education such that the user can better understand the results being produced. Although this program can be used to plan extensive Nitrox and Trimix dives it is NOT intended that the program becomes a shortcut to bypass formal training in these subjects. DecoPlanner allows the user to plan repetitive dives over any period. The theory behind repetitive dives is based on Bühlmann's pulmonary shunt model. During a surface interval, the elimination of gas is delayed due to the pulmonary shunt mechanism and the gas-loading remain higher than a normal set of calculations would conventionally calculate. Accordingly, on repetitive profiles, it will mean either less no-stop time or longer deco time. DecoPlanner runs gas loading calculations for all the compartments on a continuous basis, which may cover days or even weeks! The gas loading are calculated and updated within a mission and are calculated dependent on what the diver is doing (surface interval or diving). At the end of the first dive of a mission (i.e. after all decompression) each compartment will have a certain loading of helium and nitrogen. Generally, after oxygen decompression, the fast compartments will be completely empty of helium and nitrogen and they will on-gas with nitrogen during the surface interval. The slowest compartment, 635 min for nitrogen, takes over 2-1/2 days to completely off-gas so any repetitive dive will halt that process. If you own Deco Planner version 3.1.3, you can download an upgrade to 3.1.4 here. (Right-click and Save as...). When your purchase is complete your file will appear in your "My files" section (accessed from your personal menu on the right). The file will be available for 6 months. Please make sure to back up your download; after the 6 month download period, the file will need to be repurchased at a 50% discount if lost.